There’s something quite pure about learning in little children. No one expects them to pick up walking and talking right away, so we look on with glee as they take shaky first steps and then fall down. We encourage their nonsense sounds and interact with delight, long before they say anything intelligible. Fine motor skills take even longer, so at meal time, we accommodate our toddlers with different plates, cups, and utensils. We accept that there will be food in their hair, on their faces and clothes, on the floor. But as children grow older, their failures take on greater importance. Children’s failures affect the adults more, or we perceive that those failure reflect on us. The stakes keep increasing as students enter their teens, and prepare to transition to adulthood. As a result, many parents do everything in their power to ensure that their children don’t fail. In her new book, teacher and author Jessica Lahey argues persuasively that such an approach has unintended, long-term negative consequences, and she offers plenty of practical advice to parents looking to break rescuing habits before it’s too late. 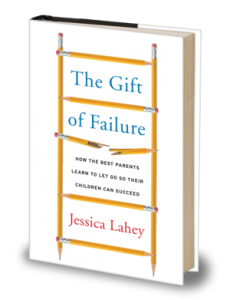 The title of the book is The Gift of Failure: How the Best Parents Learn to Let Go So Their Children Can Succeed. It arrives at the perfect time, at least based on what I’ve observed as a teacher and parent. We have a rising level of stress about our children’s futures. Higher education is becoming more expensive, and the perception is that college admissions are increasingly competitive, though I think it’s the competitiveness at the most high-profile competitive colleges that drives that perception. At the same time, we’re looking more closely at persistence and productive failure as important aspects of education and careers. Lahey’s book demands that we take a look at the incongruity of these ideas, define success in broader and more meaningful terms than grades and colleges and athletic prowess – and then embrace the gift of failure for its long-term value in shaping the adults we hope our children will become. 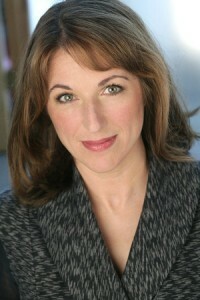 Lahey approaches the topic with humility and honesty, confessing to more than a few of her own mistakes in parenting as she moved towards an approach that cultivates autonomy and competency. The book is not confessional in tone overall, however; there are ample sources of anecdotal validation, professional input, and supporting research behind all of Lahey’s main points and advice. I had the privilege of contributing one small part of that support, suggesting that teachers of high school freshmen are particularly attuned to the likelihood of failure early in high school; we do our best for freshmen by coaching them through setbacks, helping them improve at planning and self-advocacy, rather than trying to make everything in freshman year easy enough to ensure no one fails at anything. Many other educators, psychologists, parents, and some teens contributed even more valuable insights to the book. As a teacher, I found the book useful for it’s broader insights into motivation and learning. I think experienced educators should all be familiar with research into motivation, but I fear that’s not the case. Much of the parenting advice applies to teaching as well. 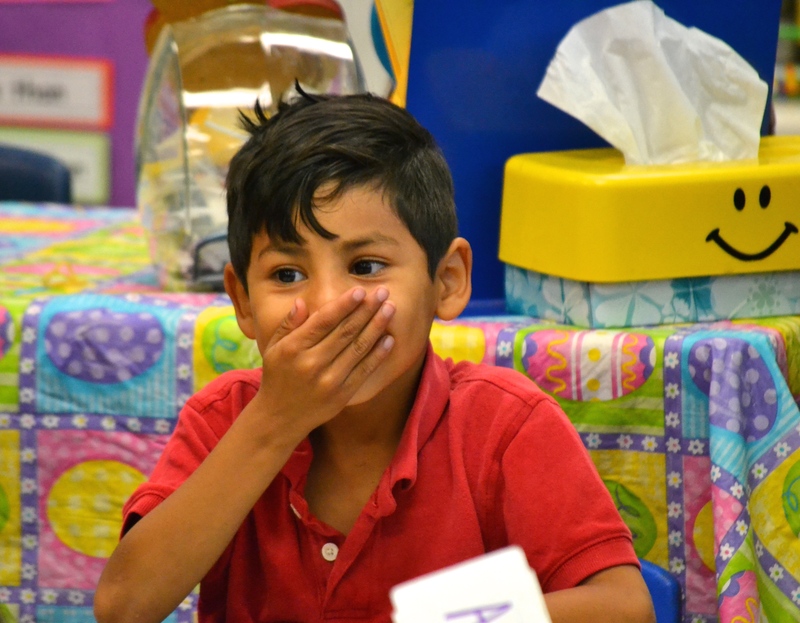 Instead of rescuing students from the consequences of failure, we must help them learn from it; if they’ve had the teaching and support they needed and then made mistakes that have academic consequences, we do them no favors by… doing them favors. Instead of telling students exactly what to do in the face of challenging work, we should help students come up with their own strategies. That means that teachers need to let go of some of our controlling tendencies and keep our focus on helping students find some individualized pathways to the achievement of higher and broader goals. For parents whose stress revolves around academics and higher education, Lahey offers some much-needed straight talk that resonated with my experience over many years in teaching and advising high school students. [Some] parents argue that even one failure could spell the end of a scholarship opportunity, the loss of honor roll, the unerasable record of a detention, academic probation, or suspension. Yes, I nod, that’s true, but the greater risk lies in sheltering and protecting kids from failures while they still are living at home, because failures that happen out there, in the real world, carry far higher stakes (161). The risk does not have to take the form of the kind of failure you can easily identify and analyze. In one case shared by a therapist, the excessive protection from failure seems to have become the ultimate failure. Lahey quotes Jennifer Hartstein’s assessment that a 30-year old client’s parents were so controlling that the client is “unable to live life on life’s terms.” Hartstein adds, “You know, too much support isn’t a good thing. It doesn’t teach you anything, like how to survive in the world. It can be a really huge disservice.” It may be tempting to think that, as parents, we can provide ample support up to a point and then dial it back to an appropriate level. If that’s your plan, read this book. As the parent of two boys, ages 14 and 12, I found plenty in the book to validate what I’ve already tried to do, but there was advice I needed, that I was ready to take to heart and try to apply immediately – trying to make up for lost time. I want to be helpful when my whole family is trying to get out the door in the morning, and I recognize that we all have a nicer start to the day if we’re not tripping over each other in the kitchen. It’s easy for me to help make my sons’ lunches and reduce kitchen traffic, and I like to be a nice dad. But they’re old enough to do it themselves, and they should. If the kitchen is too crowded, we need to decide on approaches like making lunches the night before, or having some of us out of the way earlier in the morning. And if one of the boys is running late, I actually could offer to drive him to school instead of having him ride his bike. But maybe he’ll learn more about autonomy and responsibility if I allow him to fail at timeliness today. Rarely have I read a book and made practicals, helpful changes in my own life so quickly. Increasing other household contributions – more help with cleaning, cooking, and home maintenance – are works in progress. I don’t mean to suggest that everything about the book, or about parenting, is future oriented. Lahey points out that doing the right thing, even if it feels challenging at first, has important short-term benefits, improving communication and cooperation in the family. The long-term matters, but even in the short term children gain self-esteem, the kind that truly helps because it comes from within and is based on character and intrinsically valuable actions. The Gift of Failure is definitely worth reading, a gift to parents, with great insights about children and families. For readers in my local area, note that Jessica Lahey will be appearing at three public events next Tuesday and Wednesday (Oct. 13-14), as part of the Common Ground speaker series. Here’s the listing of Lahey’s subsequent appearances in other areas.